How much wind and solar are needed to realize emissions benefits from storage? Environmental outcomes from energy storage depend on its usage patterns, the existing generation fleet, and fossil fuel prices. 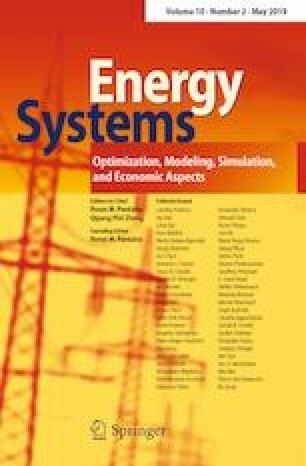 This work models the deployment of large, non-marginal quantities of energy storage and wind and solar power to determine their combined effects on grid system emissions. Two different grid environments are analyzed: a coal-heavy grid (Midcontinent ISO) and non-coal grid (New York ISO). An iterative dispatch model is used that operates storage to maximize income, considering that this operation can influence wholesale energy prices. With current low natural gas prices ($2.6 per MMBtu), adding storage slightly reduces carbon emissions in New York, while increasing them in the Midcontinent ISO (MISO). Storage increases carbon emissions when it enables a high emissions generator, such as a coal plant, to substitute for a cleaner plant, such as natural gas. We estimate that adding storage operated to maximize revenue in the MISO region will not be carbon neutral until wind or solar power reach around 18% of the generation capacity. Different operation patterns for storage could realize higher carbon reductions. For example, a carbon price on emissions from generators would shift operation to make energy storage carbon neutral even with current wind and solar capacities. Sensitivity analysis shows that a higher natural gas price ($5 per MMBtu) yields much higher storage-induced carbon emissions in both NYISO and MISO and storage in MISO will not be carbon neutral unless 35% of total generation capacity is from wind/solar. This illustrates that low cost, efficient natural gas generation is important to realize emissions reductions with storage under economic arbitrage. The online version of this article ( https://doi.org/10.1007/s12667-017-0266-4) contains supplementary material, which is available to authorized users. This work was supported by the Civil Infrastructure Systems program of the National Science Foundation (Grant# CMMI 1436469).